The central unifying theme of this state-of-the-art contribution to research on literacy is its rethinking and reconceptualization of individual differences in reading. Previous research, focused on cognitive components of reading, signaled the need for ongoing work to identify relevant individual differences in reading, to determine the relationship(s) of individual differences to reading development, and to account for interactions among individual differences. Addressing developments in each of these areas, this volume also describes affective individual differences, and the environments in which individual differences in reading may emerge, operate, interact, and change. The scant comprehensive accounting of individual differences in reading is reflected in the nature of reading instruction programs today, the outcomes that are expected from successful teaching and learning, and the manner in which reading development is assessed. An important contribution of this volume is to provide prima facie evidence of the benefits of broad conceptualization of the ways in which readers differ. 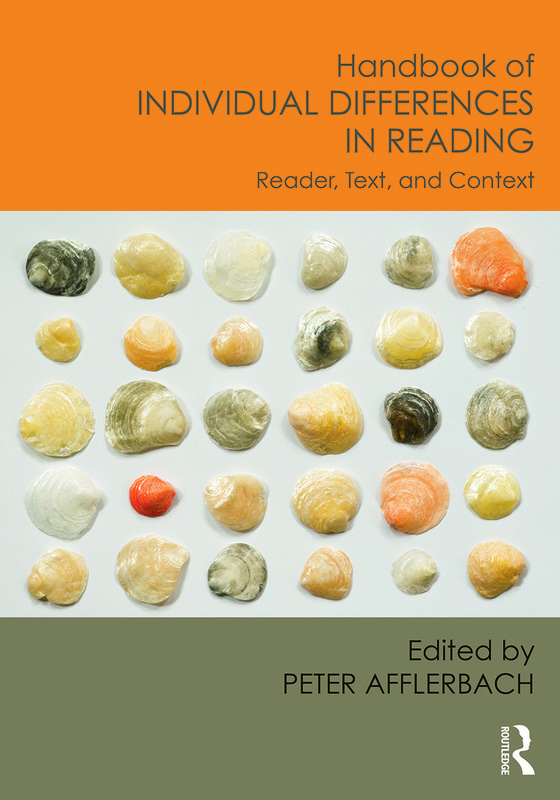 The Handbook of Individual Differences in Reading moves the field forward by encompassing cognitive, non-cognitive, contextual, and methodological concerns. Its breadth of coverage serves as both a useful summary of the current state of knowledge and a guide for future work in this area. Peter Afflerbach is Professor of Reading in the Department of Teaching and Learning, Policy and Leadership at the University of Maryland, USA.